Yet another from our growing collection of contradictory Welsh road signs. As featured on the BBC News website and sent in by Tom L.
This one is in a Swansea Tesco car park. 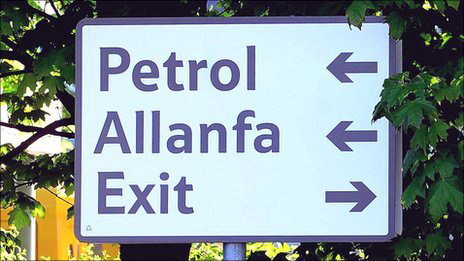 And the Welsh word Allanfa?